‘Tis the season and all that, and while the majority of festive new releases are concerned with reheating the usual fare, there’s one new Christmas disc that i particularly want to single out. 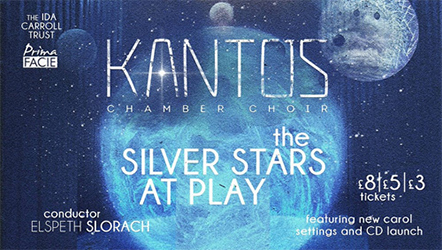 Called The Silver Stars at Play, it’s a collection of 23 contemporary Christmas carol settings, performed by the Manchester-based Kantos Chamber Choir, conducted by the choir’s founder Elspeth Slorach. i won’t go into my usual level of depth about the disc due to the fact it includes a setting of my own, and while i’ve long regarded objectivity and impartiality to be pretty mythical and irrelevant, for obvious personal reasons i would of course love everyone to go out and support the disc by buying as many copies as possible. 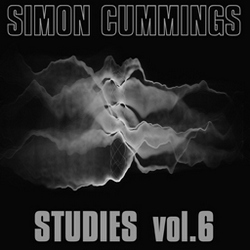 That being said, while music of this ilk is inevitably going to be a somewhat polarising affair, what makes this collection so worthwhile is its general avoidance of the kind of mawkish sentimentality and blank enthusiasm that one encounters in far, far too much Christmas music. In place of the former are broad, rich harmonic palettes, tonal but occasionally wayward. Andrew Cusworth‘s Of a rose synge we is the most sumptuous example of this, as well as being the most externally calm, though everything about it suggests inner joy and ecstasy. 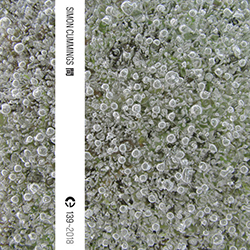 Matthew Coleridge‘s short but expansive and beautiful Balulalow is only marginally less lush, flirting with (but, mercifully, not embracing) the kind of harmonic writing redolent of US choral composers. John Turner‘s brave attempt at a new setting of Away in a Manger (retaining the established rhythmic scheme) is simpler, as is Peter Parshall‘s That yongë child, to gorgeously tranquil effect, while another lullaby, Mark Hewitt‘s Silent Night, rather nonchalantly sets out as though it’s nothing to do with the original carol before a number of dropped hints lead to a thorough reworking of it, its harmonies and rhythms both wonderfully convoluted. My own Infant holy, Infant lowly stays true to the original Polish melody (though using the correct original descending line as opposed to the misprinted version that one usually hears), with new harmonies designed to gently emphasise elements of the text. However, it’s not all blissed-out devotions and adoration. Phillip Cooke‘s Susanni pushes harder, letting rip in forceful outbursts that contrast with plainsong-like material, while Sarah Rimkus goes further in Brightest and Best, an Epiphany hymn that begins with delicious meanderings but climaxes in a boisterous, swinging, compound metre dance. Cantate Domino by Cheryl Camm is an exciting exercise in rapid-fire rhythmic writing, with an unexpected but tasty caramel soft centre; Jenni Pinnock‘s Christmas Bells begins with a similar dance, nicely garnishing its cheerful, conventional trappings with a number of canonic and harmonic twists. But for me, the most striking carol on the album is Sadie Harrison‘s As-salāmu ʿalaykum Bethlehem, which doesn’t merely challenge the conventions of Christmas music but boldly sets out more or less to ignore them completely (brava!). Combining words from ‘O little town of Bethlehem’ with an Islamic greeting, its music – though contemplative at its epicentre – is daringly wild, so ebullient and confident in its expression of joy and optimism that the carol’s culmination sounds positively feral. Utterly amazing. 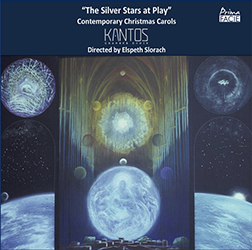 The effect of Harrison’s carol is only as powerful as it is due to the astonishing determination and fervour that Kantos Chamber Choir bring to it, and that’s just as true for the more introspective and meditative performances captured on the disc as it is for firecrackers like this. While i’ve only scratched its surface, The Silver Stars at Play really is a splendid album: familiar yet unpredictable, traditional yet unconventional, it breathes some badly-needed new life back into Christmas music. The CD was released a few days ago on the Prima Facie label, but it’s being launched in style this Saturday evening at a concert Kantos are giving at St Ann’s Church in Manchester, featuring a selection of the carols; details here. Saturday’s concert was wonderful. Each piece was beautiful played and Elspeth engaged the audience with her enthusiasm for the works. The composer’s were present making it a very special evening.